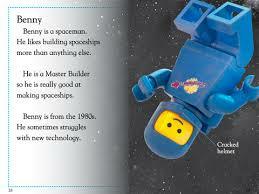 I’m not much of a movie guy, but I did see The Lego Movie last weekend. My son left with a list of new toys he wants, and I left thinking about the educational metaphor I just watched. If you have not seen the movie, don’t fret; I won’t give up any information you haven’t already gotten from reading reviews or hearing others rave about it. President Business is the powerful “leader” of Lego Land. He knows exactly how everything should work, and wants everyone and everything to abide by the instructions. When they don’t, micro-managers are sent to get everyone back on track, and/or punish those who work off script. Master Builders are imaginative and can create anything when provided basic materials. Instructions serve as a baseline to work off of for these inquiry based explorers. When caught creating new awesomeness off script, micro-managers capture and imprison Master Builders for not following instructions. The Special is someone who simply needs to believe in himself to achieve and succeed. Educational Metaphor. Unfortunately, some educational environments function this way. Whether kids feel like their teacher is President Business, teachers feel like their principal is, principals feel like district office admin are, or district office admin feel like policy makers are, many of us feel like our boss behaves like President Business. In education, President Business is a know-it-all, who knows it all based on past experiences with past kids during past policy eras with past resources. Educational President Business takes aggregated results from the past in conjunction with expectations from the past and apply to current kids and teachers in the current policy era using current resources to construct future achievement–without allowance or a factor for current and future possibilities. Educational President Business encourages thinking differently, being creative, and thinking out of the box—until someone does (great article here). Then Educational President Business reprimands, punishes, and implements restrictions moving forward to micromanage. In these environments, educational Master Builders–eager learners and explorers–experience extreme frustration. This frustration can lead to a loss of motivation, interest, and in some cases, defiance. Master Builders are very creative, so to lose that working for you and turn that against you can be a tremendous detriment. If President Business is a teacher, and he “imprisons” a student Master Builder, the entire classroom can suffer from a behavioral management standpoint. If district office admin “imprisons” a principal Master Builder, you can lose leverage in an entire community. Whether kids or adults, Master Builders are natural leaders because of their conviction and passion for moving organizations forward with their creative thinking. When you exile these leaders, you also exile their followers, which works against the progress of the organization and community. 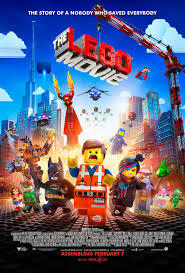 I understand communities need governance, and The Lego Movie alludes to this with a visit to Cloud Cuckoo Land, where there are no rules and anything goes. Of course we need guidance, and guidance from people with experience; however, to micromanage the limitless potential of kids–and adults–working with technology and other resources our world has never seen, to create and accomplish limited things based on past experiences is extremely shallow and down right egotistical. As educators, we should create environments that foster creativity, work to provide foundations from which our Master Builders can explore, and support all along the way to be The Special. 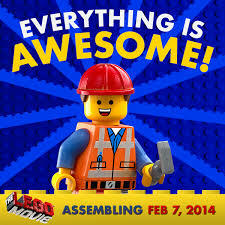 Educators, let’s lead in a way such that kids, families, peers, and colleagues sing “Everything is Awesome“. Posted by Sam LeDeaux on February 16, 2014 in Action, Collaboration, Education, Leadership, Learner, Organization, Reflection, Student, Teacher, Teamwork, Uncategorized and tagged Collaboration, Creativity, Education, Leadership, learning, Organization, Student, Teacher, teaching, Teamwork. Administrator. Teacher. Learner. Chicago metro area. Passionate about kids, learning, and education. Follow me on twitter @sledeaux84 and at ConnectedPrincipals.com.